I was recently featured in the beautiful video Diana Marques: visual science communicator. Produced by Neil Orman at the American Association for the Advancement of Science (AAAS), it is one of two videos that promote the exhibit Visualize: Art Revealing Science currently open at the AAAS gallery. I was also interviewed by Juwon Song who summed up in a nice article what the exhibit and profession are about. This exhibit celebrates the 50th anniversary of the Guild of Natural Science Illustrators and the work of its members; as a proud member of 18 years and exhibit participant with four entries selected by the jury, I was honored to be interviewed to represent the profession of a visual science communicator. The feedback about the video has been wonderful and I hope you like it too! The GNSI Annual Member Exhibit is special this year. Under the theme “Visualize: Art Revealing Science” the exhibit will take place at the American Association for the Advancement of Science Art Gallery in downtown Washington, D.C., July 16-October 15. Not only it is a noteworthy location with plenty exposure, it is also a generous duration. And I could not be happier that all my three submissions were accepted! Ants and Their Garden – an information graphic with a snapshot of the complex social system of leafcutter ants and their process of cultivating plant matter to maintain fungus garden that feeds the entire colony. Electric Eel Anatomy – an animation video created for the Electric Fishes Demonstration Lab at the Amazonia House of the Smithsonian’s National Zoo illustrating the unique body of electric eels. Sculpted Tree Ant – an interactive 3D model of an ant species commonly found in the Old World tropics, living in the canopy of trees. Follow the links under each title to get to the Portfolio and learn more about these pieces! Along with local friend illustrators I participated in the exhibition Beautiful Maryland that showcased pieces of the greater Washington DC members of the Guild of Natural Science Illustrators. Right by the Chesapeake Bay, at the Quiet Waters Park gallery, the show was on display from August 27th until October 12th and had a companion catalog. I was delighted with the invitation to participate in the southern Brazilian meeting for science illustration that took place on the beautiful island of Florianópolis. The exhibit “Anatomy of an Illustration” showcased my piece “Steller’s Sea Cow” and was accompanied by an educational catalog where each artist describes the piece on display and discusses its purpose and process. I also instructed a workshop on 3D digital techniques applied to scientific illustration. 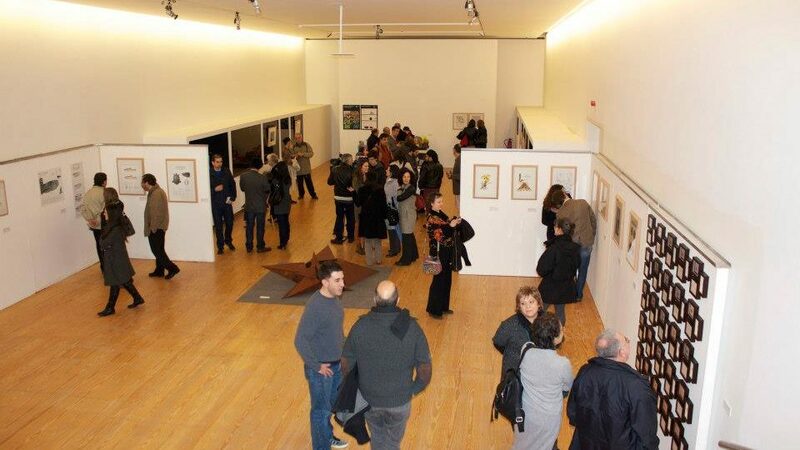 The scientific communication project from the University of Porto Ciência 2.0 promoted a Science and Art competition in different categories – illustration, photography, animation, documentary, multimedia art and fine art. I was invited to be part of the jury. 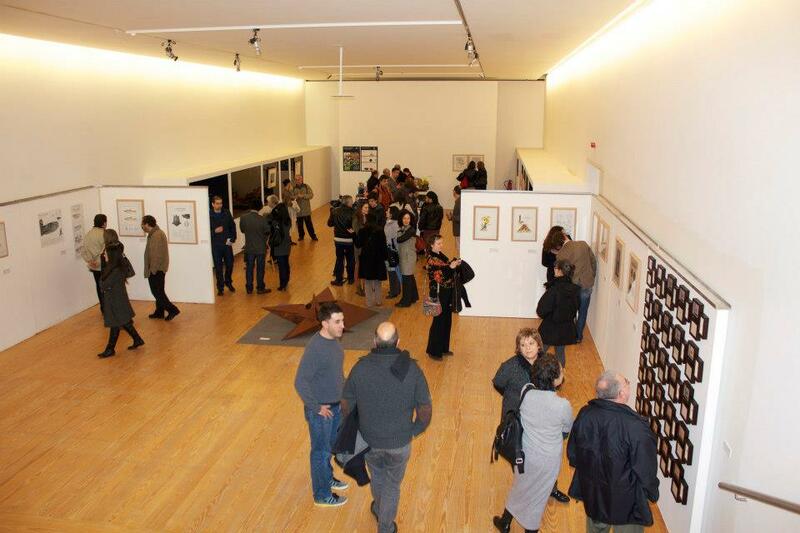 All selected pieces were on display at the National Museum Soares dos Reis, in Porto. At the library of the Sagrada Familia cathedral in Barcelona was on display a selection of the best illustration pieces from the competition Il-lustraciència set by the Catalan Association for Science Communication, including my piece Cotton Headed Tamarin.